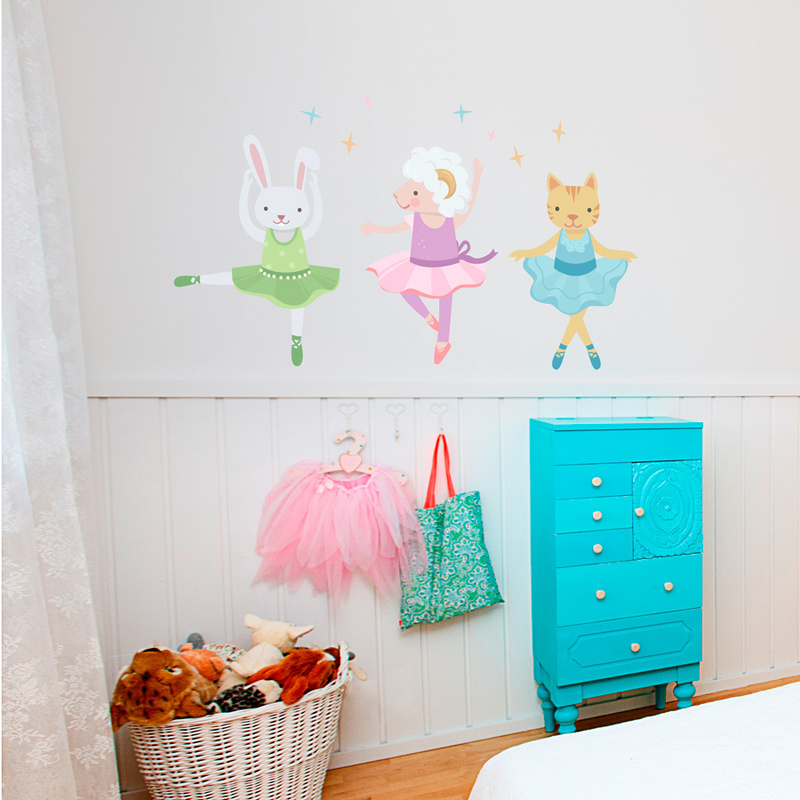 Practice your plié and pirouettes along side this adorable decal! 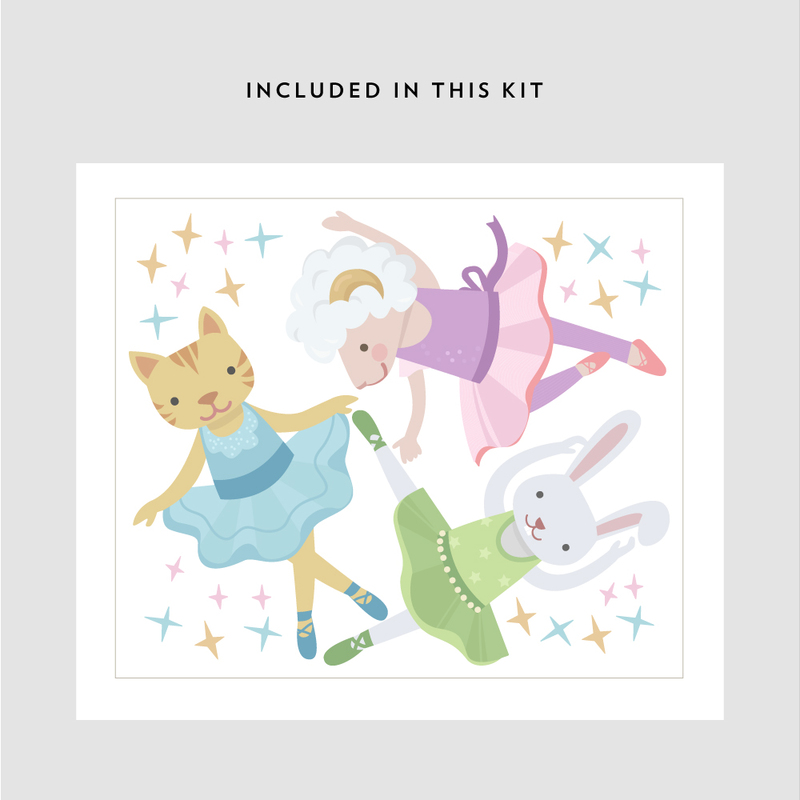 A bunny, sheep, and cat dance around in different costumes. Available in 2 sizes.